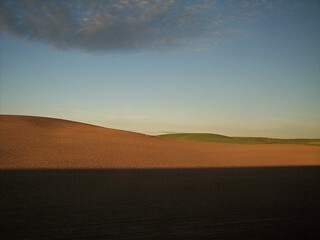 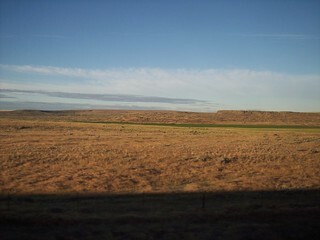 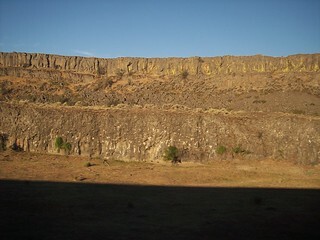 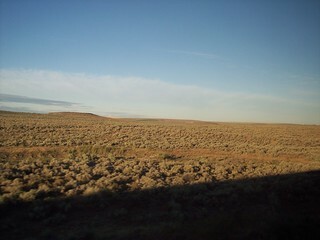 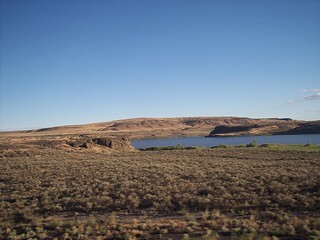 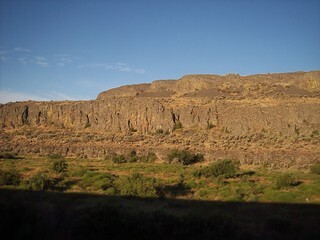 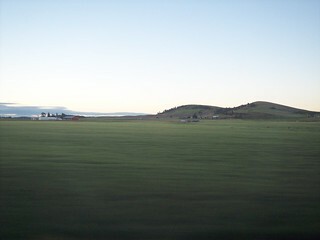 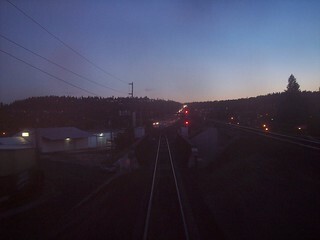 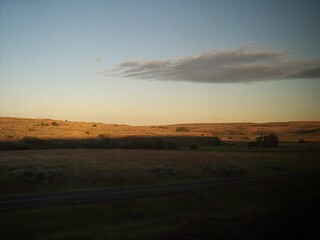 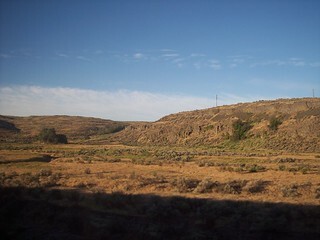 The Empire Builder traverses a mostly dry desert-like landscape between Ephrata and Spokane. 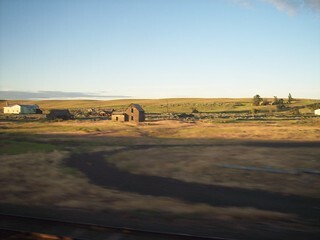 We see more farms as we get closer to Spokane. 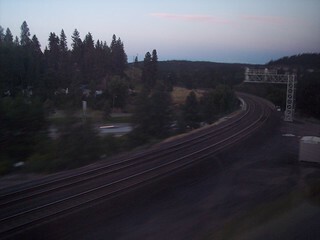 West of the Spokane station the tracks split with the Seattle section continuing straight while the Portland section follows the tracks to the left.